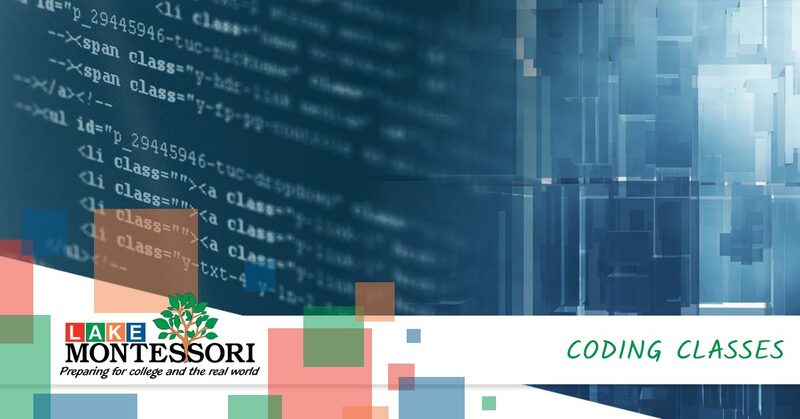 Lake Montessori is proud to offer supplementary, world-class Coding Classes to our students at a time when society is more and more centered and focused on technological advancement! Let’s take a look at why learning to code is so valuable! Gone are the days when coding was seen as an activity for nerds and hackers alone. Coding has progressed over the years to no longer be seen as a hobby and more as a valuable and critical career skill. Employers all over the world have shown that they’re willing to pay more to employees who can code and program. As it would appear, this one-time “hobby” can now help to lay the foundation for well-paying and rewarding career. Let’s look at all of the reasons learning to code is an extremely beneficial skill to have. How Can Learning to Code Be Beneficial? One of the biggest and most attractive reasons that coding and programming is so valuable to learn is that the future earnings potential is fantastic. 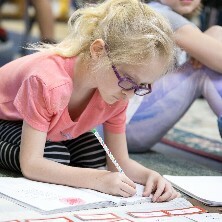 We know that we’re talking about Montessori middle schoolers here, but it’s never too early to start thinking about your child’s financial future. According to the Bureau of Labor Statistics who took a look at some salaries in 2016, the salaries of web developers, network system administrators, computer programmer, and software developers were extremely competitive. If you’re looking for a class that can help set your child up for a brilliant career or you simply want to help them broaden their horizons, check out our coding class at Lake Montessori! As many college graduates often find, though the average salary for a certain position might be exceptional, it might be difficult to find certain jobs in certain fields. For many of the professions that we mentioned above, in the next ten years, we’ll see a significant increase in the demand for and availability of jobs in coding and programming fields. Additionally, when a career field is highly desirable, there is more potential for hybrid positions to be created over the years. For many individuals who learn to code, their coding helps them take their problem-solving skills from being emotionally based to logically based. Learning to code can help to change your perspective in many helpful ways. Coding, in its most basic form, is simply assigning a computer a task to do based on the logical guidelines that you’ve outlined. Highly complex problems are often just an assortment of smaller issues and when you can take the logic that you use in coding to your real-life problems solving, you’ll be amazed at your potential. To learn more about how coding can help your child’s perspective, contact us at Lake Montessori School in Leesburg. With many trades and skills that we learn, we can see how our options might be limited as the world becomes more and more technologically inclined. However, when your child learns coding, they open up countless opportunities in their future career and they become a more well-rounded and desirable employee. Even if their career doesn’t require them to have a thorough understanding of coding or programming, their knowledge will only help them be able to communicate with others who speak the same language as they do. When children, pre-teens, and teens learn to code, their parents — having grown up in a far less digital age — often have a chance to learn to code right alongside them. With so many resources out there to help with learning code, why not get on board. If you’re ready to sign your child up for this valuable life skill, contact Lake Montessori today! Allowing your child to learn something new will only benefit them in the future. It will allow them to be incredibly versatile in their thinking, broadened in their learning, and specialized in their skills. Whether your son or daughter wants to go into a computer or software programming field or not, coding and programming skills will be highly desirable skills for them to have. If you’ve not yet gathered this idea by now, learning coding and programming is a highly valuable and sought-after skill. Their employer will value their knowledge, their coding abilities will give them a great perspective, an increased ability to problem solve, and allow them to be so much more versatile. 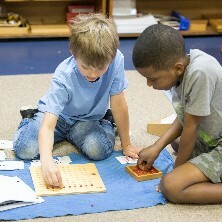 If you’re ready to see what a coding class can do for your child, reach out to us at your Leesburg Montessori school. We’d love to talk with your more about this amazing opportunity and enroll your child in this amazing course! Cost: covered in regular tuition. Skill Levels: introductory to advanced, individually tailored one-on-one lessons. Instructors: UCF and UF specialized graduates. Contact Lake Montessori to enroll your child in our coding class today!